The end of summer and fall is my off season. The past three years in a row I have finished the Badwater Ultramarathon in July and it also has been around my 5th 100miler of the year at that point. After that ultra I generally decompress and just run for the pure joy of it. My time is focused on my other joy and that is coaching my children in soccer. This year I have stepped up and am coaching two teams during the same season. It does present some scheduling challenges and really challenges me as a person. Coaching under 11 girls and under 10 boys is not only enjoyable but they are completely different at that age. These coaching commitments go on through December. As a result, I choose to not run many of the fall races, especially the ones that fall on Saturdays. This year I will be missing one weekend for a relatively local race and a good cause, the 100 Mile Club. The 100 Mile Club® is a physical fitness and life skills project for all individuals based on the goal of running (or walking) 100 miles at school or work during a single school year. Our goal is to help our runners experience fitness and TRUE personal success through attainable physical fitness goals. Often the 100 Mile Club will work with schools to get kids to run 100 miles over the course of their school year. 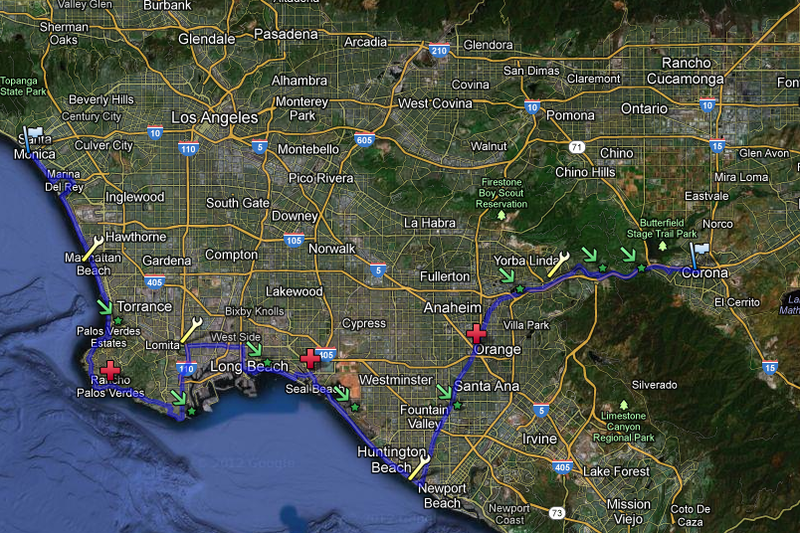 The route for the 100-Mile Endurance Challenge cuts through the heart and hugs the coast of Southern California. Athletes who participate in this event will run through three counties and 20 cities. 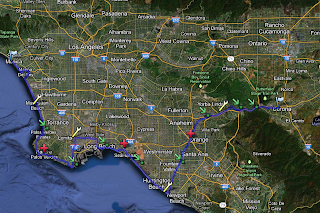 This event starts at the 100 Mile Club headquarters in Corona, CA on Oct. 20, 2012 at 8:30am and finishes some time the next day at the Santa Monica Pier. There is a 30-hour time limit for this course. All proceeds go to the 100 Mile Club® charity. Its a unique event and raises money for a cause I believe in! As a participant you are required to raise money.